Some of you have been very naughty and might end up getting nothing for Christmas. However, we have come around and made some nice changes to the server. You can now turn off the GTA IV Radar in the M Panel > Options. Nade duping is no longer a thing. Larger vehicles will no longer get stuck inside modshops. Fixed and added the snow script. 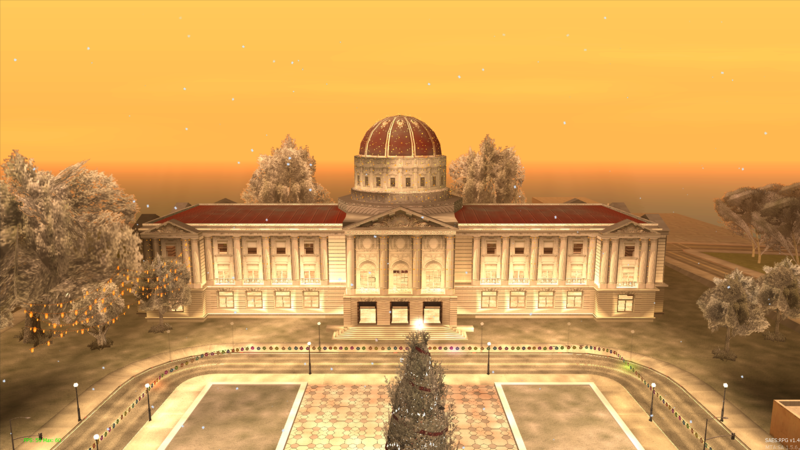 Tut made San Fierro look a lot more christmas like! The snow mobiles have made their return! Found a bug? Please make a report on our bugtracker! when will SAES remove the kill arrest? Nice updates . Merry christmas everyone!